Instagram is becoming more and more popular not only for users, but for businesses as well. It offers a different way to connect with potential customers that sets it apart from other social media outlets. The user-friendly app allows your audience to engage with your business, products, and to get to know the human side of your brand. But how do you get beyond the pretty colors to form a strategy that speaks to your persona and shows off your style? Let's scroll through some insta-crushes together to cover the key elements of branding on Instagram. USE YOUR BRAND COLORS: Using your brand’s colors can help make stand out to your audience and while jazzing up the rest of your feed. It’s important that the color palette you choose complements your brand and is unique. 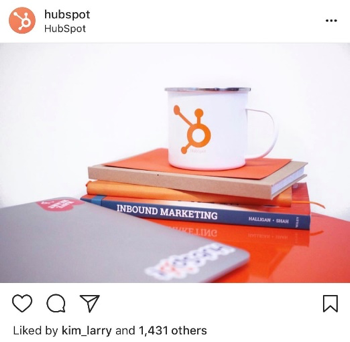 HubSpot is a brand that thrives on its brand color. 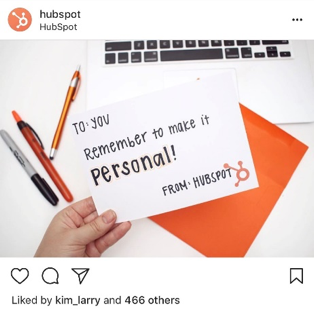 They find a way to incorporate their bright orange brand color to all their Instagram posts. USE QUOTES: Quotes are what you make them! You can create your own or use someone else’s. They can be inspirational, funny, or just thought-provoking. However, the tricky part can be determining what quotes to use. You want to make sure it’s something your audience can either relate to or be inspired by. It can lead to more audience engagement and can influence your audience to follow your brand closer just to get that dose of inspiration. 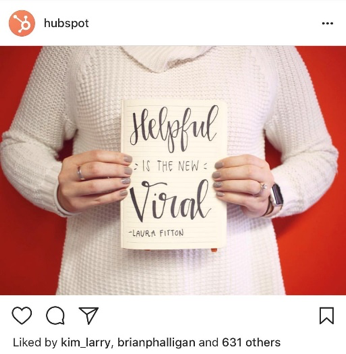 We can't resist throwing another kudos to HubSpot for their quote game, mixing it up with wise words from famous authors, marketers, and employees. USE FUN STATISTICS: Data can be boring but it doesn’t have to be. 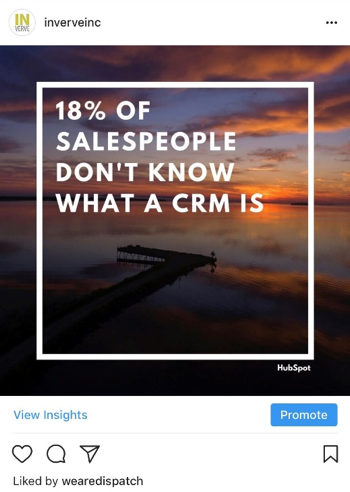 You can use your brand’s Instagram’s page to posts fun statistics. People like FUN posts but there's nothing like quick dose of knowledge to empower and help people. Bring stats alive and make insights cool with design choices. 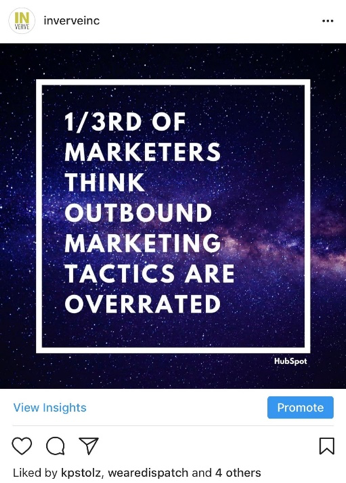 We use our 'gram (in addition to sharing excellent meals) to serve up inbound marketing stats that hope to help keep businesses and marketers in the loop on the latest trends and data. FUN FONTS ( and TYPOGRAPHY): If the color palette isn’t enough, you may want to consider using cool fonts to go with those cool colors. There are so many to choose from you can be fun, elegant, or wacky or simple. Sticking to a specific print type isn’t necessary but definitely help images and quotes pop. It can also help build brand consistency on your Instagram page. CREATE BRAND TEMPLATE (with your fancy brand logo attached): Using a brand template is one of the top ways to make your brand’s posts unique and serve as a trademark for your posts. Having a one-of-a-kind brand template can be eye-catching and memorable. It can give your posts more special feel and assist you standing out compared to the rest of your feed (and competitors). It makes your brand instantly recognizable to your audience. 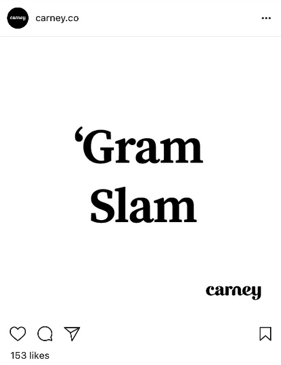 If your’e looking for some inspiration The Daily Carnage uses their “carney” template with a dash of simplicity on some of their Instagram posts. ADD SOME VISUALS: Give your audience visuals that are amusing to view and easy to understand. 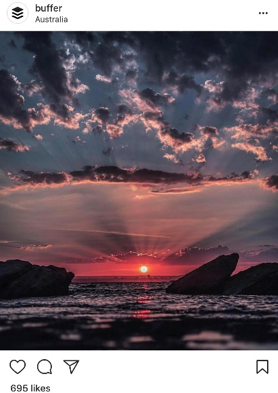 People love pretty pictures and they enjoy seeing things and places they dream about. Having visuals can simply enhance the look of your brand’s Instagram. 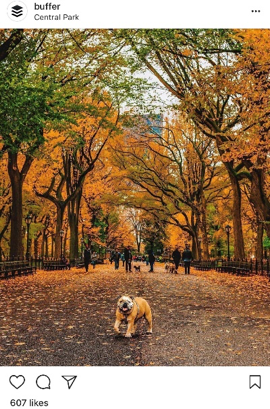 Even though Buffer is a social media management tool, it uses its Instagram page to display refreshing (or warming) pictures of places around the world. MAKE A VIDEO: It’s a great way to catch your audiences' attention and then show them things you want them to know about your brand-company culture. 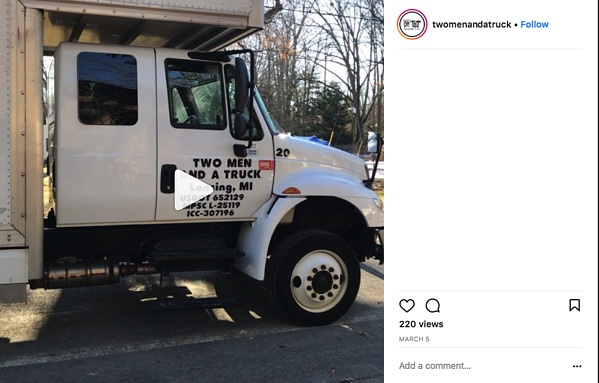 Two Men and a Truck tends to share several videos capturing a ‘day-in-the-life’ of a professional mover on their Instagram to show their followers the work they do and why they enjoy it. Location audit: For those businesses that possess brick-and-mortar stores conduct a location review of businesses in the same area as your business. This will help to see if there is any buzz in the area where your business is located or if there is talk about your business in that location. If there is an event that will be happening near your business it can also help determine what you post on your Instagram. Finally, your goal should be to remember what your brand stands for and incorporate it into what your audience cares about. Your brand on Instagram can be whatever you want it to be, so create a strategy that showcases what your brand is all about. 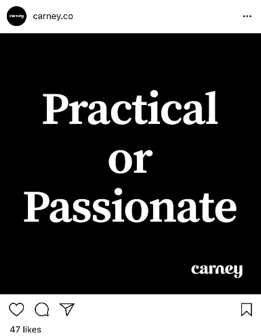 Be relatable, unique, inspirational, and fun because those are features followers appreciate. Need a social media expert to boost your business? Contact InVerve Marketing and we will get you growing!